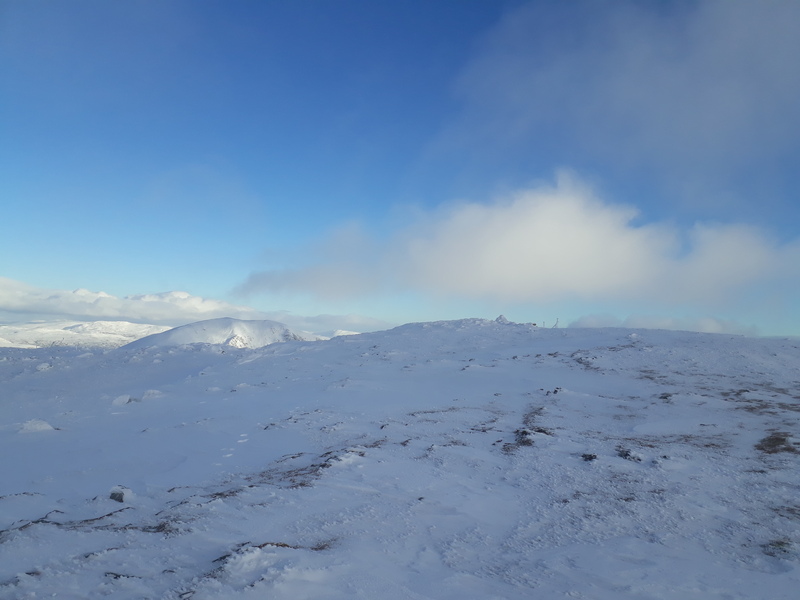 Sun and snow: a Loch Earn round + some timely reminders! 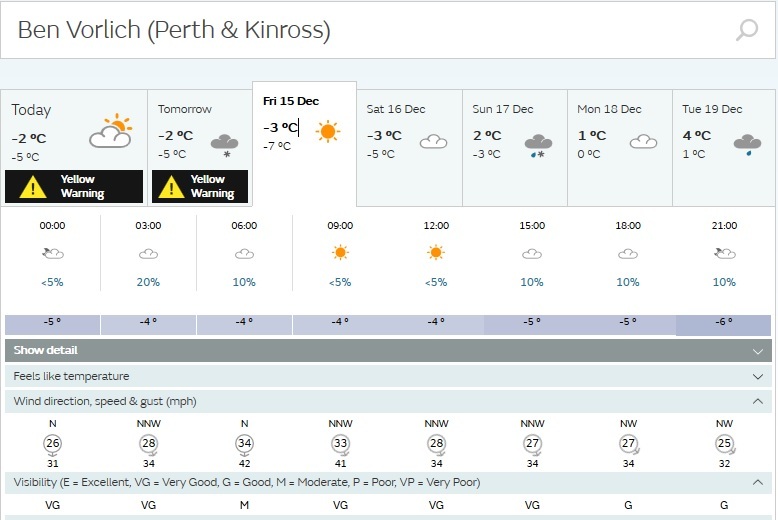 After the 20cm plus of snowfall in the Midlands, I’d been really hoping for a couple of fine days in Scotland as the perfect run in to Christmas. In the increasingly anxious countdown, Friday 15th and Saturday 16th appeared in the 5 day forecast as sunny, and this forecast was maintained. So I’d get my perfect Christmas introduction, it seemed . I needed a couple of routes that were doable within about 8 hours if I wasn’t to spend a lot of time walking in the dark; and given that the days would be so short, I wanted to minimise the time spent driving to get to some characterful hills. After a bit of poring over maps, I opted on day one to go for the two Loch Earn Munros plus at least one of the 2 Corbetts in the same area – both if time allowed. On the Saturday the plan was to do Ben Vane, and, if that went fairly quickly, to try to squeeze in Ben Lomond. I had considered starting and finishing the round from Loch Earn, but my car is probably the worst in the world in snow, so I wanted to be on a main road. I set off from home early on the Thursday so as to be sure to have sufficient time to find a decent camping spot while it was still light – I had some concerns about being able to find a suitable bit of ground that wasn’t frozen. It was a trouble-free run, and as I approached Callandar on the A84 after about 6 hours drive, this is the wonderful sight that met me as I rounded one of the many bends on this road. 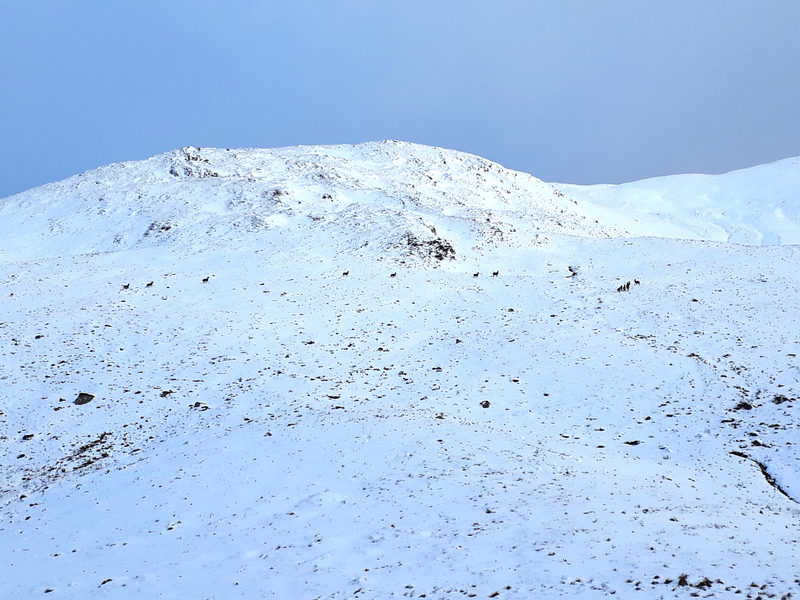 Ben Ledi dressed in white, causing an immediate and palpable adrenaline rush – and to judge by the unwarranted optimism regarding the next day’s walk, a sudden rush of blood to the head! I got to Loch Lubnaig at about 14.30 – even earlier than I expected. 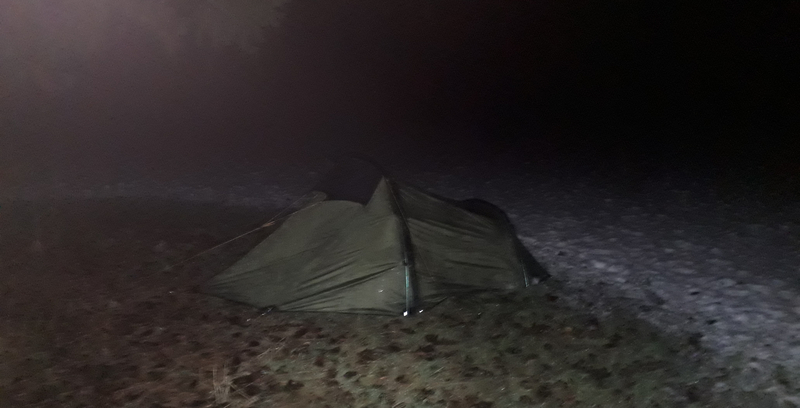 Looking around it was quickly clear that I really needed shallow or no snow covering if I wasn’t to risk damaging my groundsheet, for there had obviously been some thaw followed by freezing, and the snow covering was iced over. After a fair bit of searching I managed to find a bit of snow-free flat ground beneath a tree. I then whiled away an hour or so over a couple of coffees in the Strathyre café, chatting to the owners, who're both keen walkers, WH “lurkers” and all-round lovely people (I can highly recommend the cafe by the way). 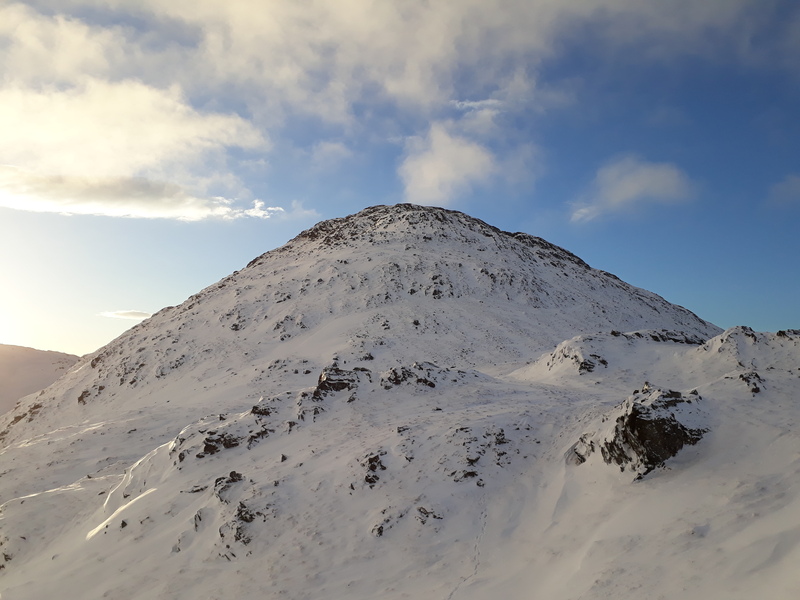 When I outlined my planned route, the gentleman commented that he thought I’d need crampons on the descent from Stuc a’ Chroin. ....only to find that my thermarest mattress had a slow puncture . I can't imagine how it had happened, because it was holding air perfectly last time I used it. Luckily I’d brought a 1 cm foam mattress as backup, and actually managed to get a good and warm night’s sleep in my 3 season bag, freezing temperatures notwithstanding. I set the alarm for 05.50 the following morning, with the idea of getting a good start by walking in the dark/dawn the first stretch that would be on path and track, and was packed up and on the path before 07.30. I was quite surprised how dark it was, but equipped with a good head torch, this posed no problem on a good path and track. 20171215_074754. 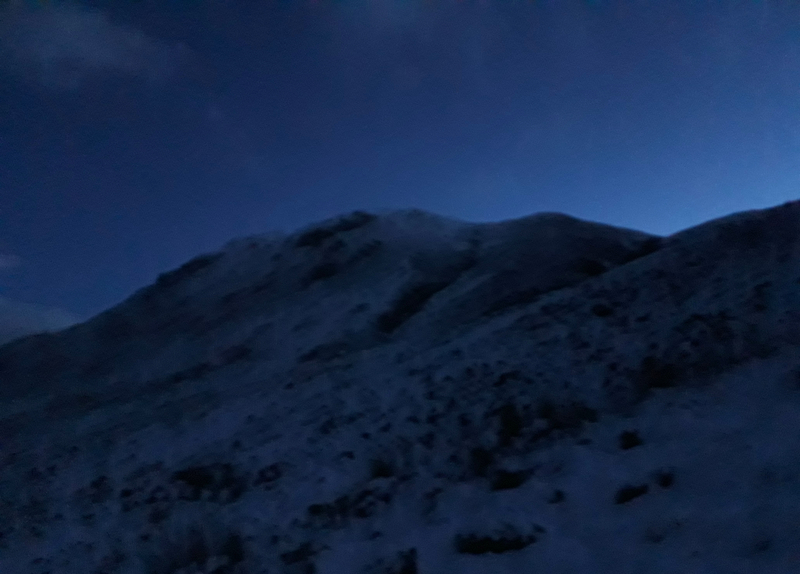 As it approached 8 o'clock, a pale Beinn Each gradually became distinguishable in the darkness, just at the point where I cut off right off the track. 20171215_090319. It was a steady but pretty straightforward pull up the hillside for the next hour or so. The snow got deeper with altitude, of course, but avoiding drifts by keeping an eye on the signs of grass on the snow surface, I managed to make pretty good time. 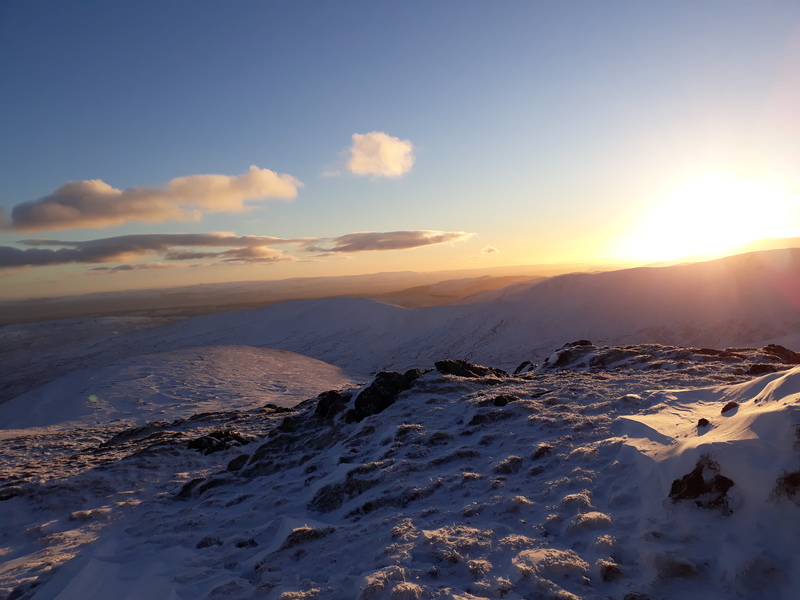 Sunrise cast its rays across the snowy hills shortly before I reached the summit. This pano is looking approximately south west towards Ben Ledi. (if you like panos, it may be worth clicking on the image and viewing on full screen - the panos all day were just amazing, even if my photography isn't the greatest). 20171215_090334. Beinn Each summit ahead to the left of the picture. 20171215_091512. 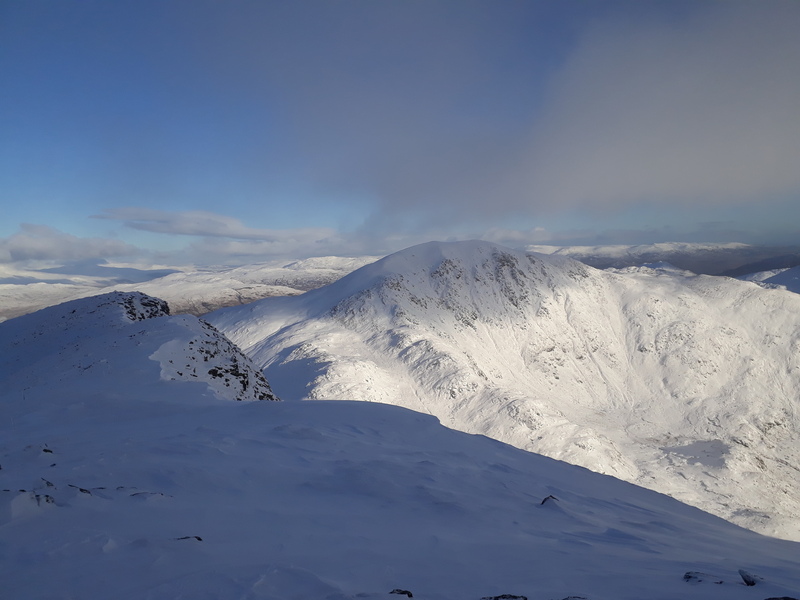 ... so once I got to the summit, I lingered only long enough to take a few pics - like this one looking north east towards Stuc a' Chroin (and my hands still got pretty d****d cold!). Then I headed off along the ridge in the direction of Stuc a' Chroin. And this is where my timing started to fall apart. 20171215_094051. ...but the views were just phenomenal. 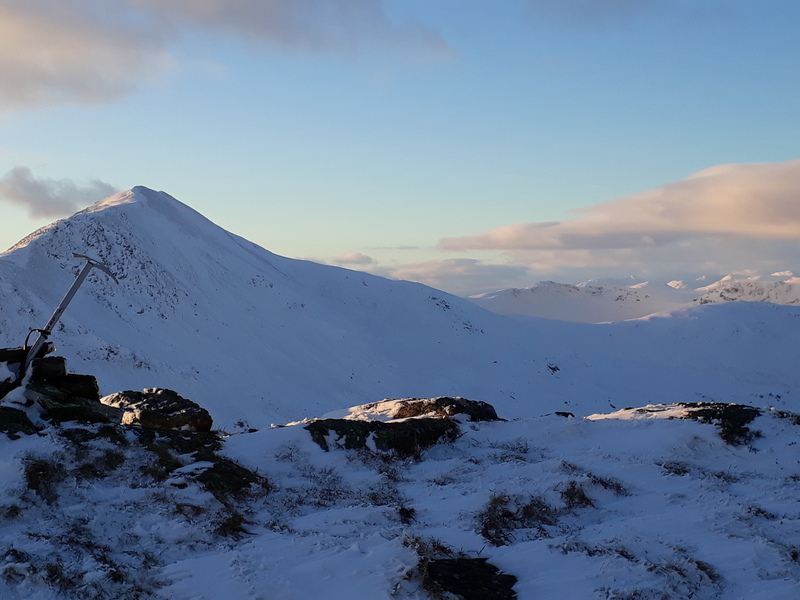 This is looking east south east down Gleann a' Chroin, with Beinn a' Chroin on the LHS (if I'd known how the back end of the day would turn out, I might have studied the terrain a little more carefully...). Although it was pure joy to be alone in this environment, my planned timing continued to slip quite seriously. The rocky blocky up-and-down terrain, with many areas of quite deep drifts concealing holes and gaps below the snow, meant that it took me an age to traverse to the base of Stuc a' Chroin: rock faces that would be simple 2 minute scrambles in summer seemed to take forever (no doubt my route-finding technique leaves plenty to be desired also!). 20171215_103141. This view is looking back at the ridge I'd just traversed from somewhere along the early part of the ascent of Stuc a'Chroin. At a distance, both in time and space, it now looks pretty innocuous to me. But it was slow going at the time! ... but later, as time continued to drift, I felt I had to rethink my plans. 20171215_111515. Not far to the top now. 20171215_112347... firstly to the second of the two summit cairns, then north towards Ben Vorlich. 20171215_113016. And having to stop repeatedly to take in the views did nothing to improve my rate of progress! As I got to the edge of the steep slope down what is effectively a shallow buttress, I did see what the chap in the cafe meant about crampons: it's pretty steep - 50 degrees or so - and quite mixed ground. But again - probably wrongly - I was a bit concerned about tripping; so I didn't put on the crampons. Which - predictably - meant the descent was lots of fun, but very slow indeed - taking not far short of 30 minutes to get down the 150m or so. 20171215_121424. This is looking back at the buttress, which again looks quite innocuous. 20171215_121431. Ahead (north east) Ben Vorlich looked quite stunning. 20171215_123717. Looking back towards Stuc a'Chroin from about half-way up Ben Vorlich. From here a quick and gentle descent route can be seen to the right of the buttress. 20171215_123736. 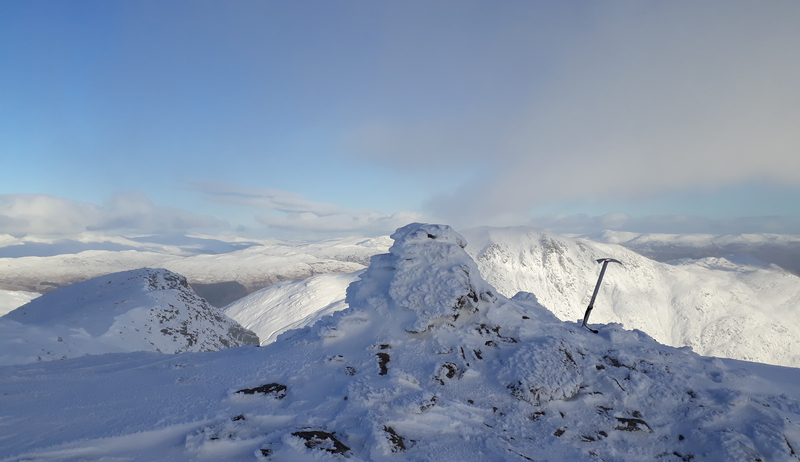 The same view as a pano, with the splendour of the Highlands dressed in white in the background. 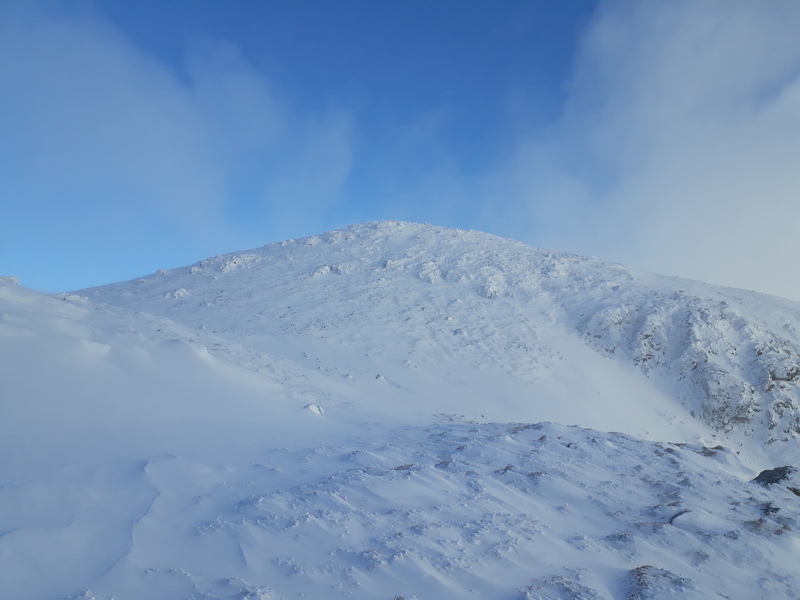 At about this point, I looked up towards the summit of Ben Vorlich, and thought I saw a figure up there. And sure enough, 20 minutes or so later, I passed a young guy on his descent. 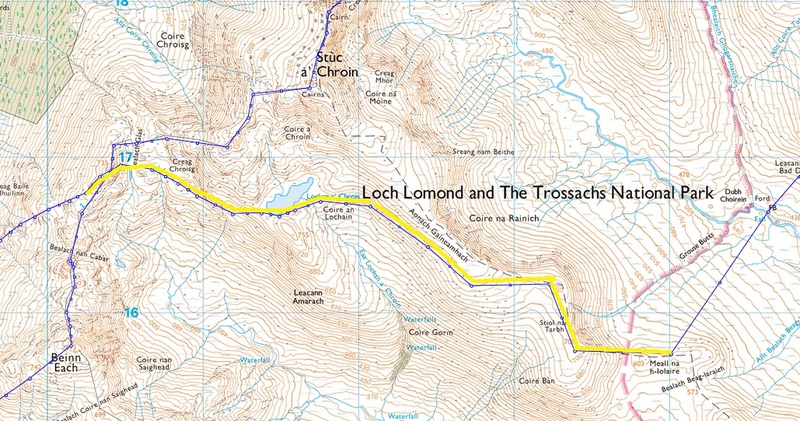 He was heading up to Stuc a'Chroin, and then down to Glen Ample, and from thence to Loch Earn. 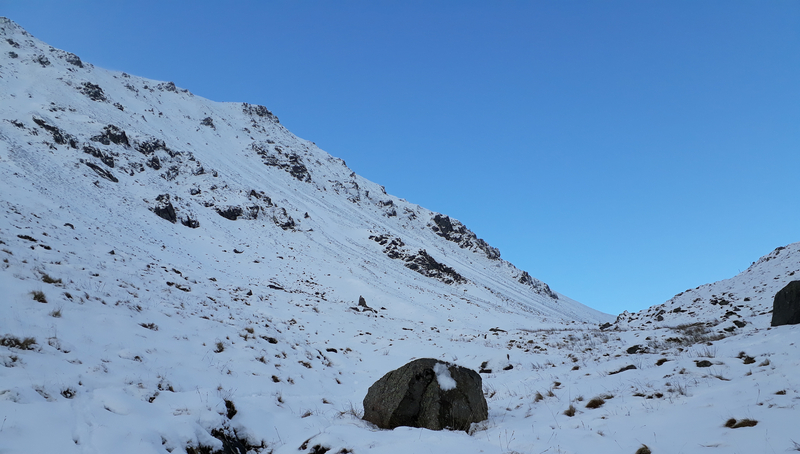 He didn't have crampons or an ice axe, so I suggested he might like to take the obvious low risk route to the right of the buttress. The ground was quite mixed as the altitude increased, with some areas of knee-deep snow that I couldn't avoid. Somewhat depressingly, I found it really quite exhausting . 20171215_125301. But. As compensation: looking south east down Gleann an Dubh Chaorain, not far from the summit. Brilliant, or what????? This day really turned out as the forecasters predicted. 20171215_131023. The summit at last, over 2 hours behind schedule now. The glory of the Highlands in winter garb 360 degrees. This view is looking just south of east. 20171215_131443. Looking back from the second cairn towards the first, Stuc a'Chroin just left of centre. Here I had to make a decision - to call it a day, and drop down into Glen Ample in daylight; or continue to Meall na Fearna.... 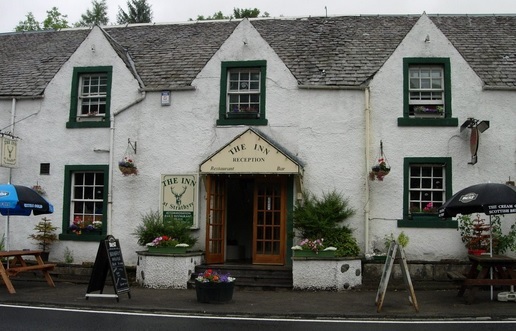 Rational thinking says: leave Meall na Fearna for another day. On the pic, MnF is the hill about 1/3 in from the left; ahead is the shoulder of Ben Vorlich. Just a few minutes on the summit soaking in the views and reflecting on my good fortune meant that I'd started to get chilly in the strong wind. So I continued as speedily as I could, descending the shoulder until just after the boundary fence cuts east, where I then also headed off down the steep hillside, a 350m drop into what seems to be labelled on the map as Bealach Gliogarsnaich. 20171215_140509. This view is looking back from the bottom of the glen/bealach - that descent slope was quite steep! 20171215_150428. But just concentrating on putting one foot in front of the other, I eventually got there - about 3 hours behind my original schedule . Was it worth it?? Well, at this point anyway, the views answered that rhetorical question quite unequivocally. 20171215_150410. Ben Vorlich - and indeed the hills in every direction - were just stunning. Pure joy. But now I had to think about the return route - it would be dark pretty soon, and I didn't want to be trying to navigate over a lumpy plateau in the dark (and I recalled how surprisingly dark it was in the morning, snow notwithstanding). 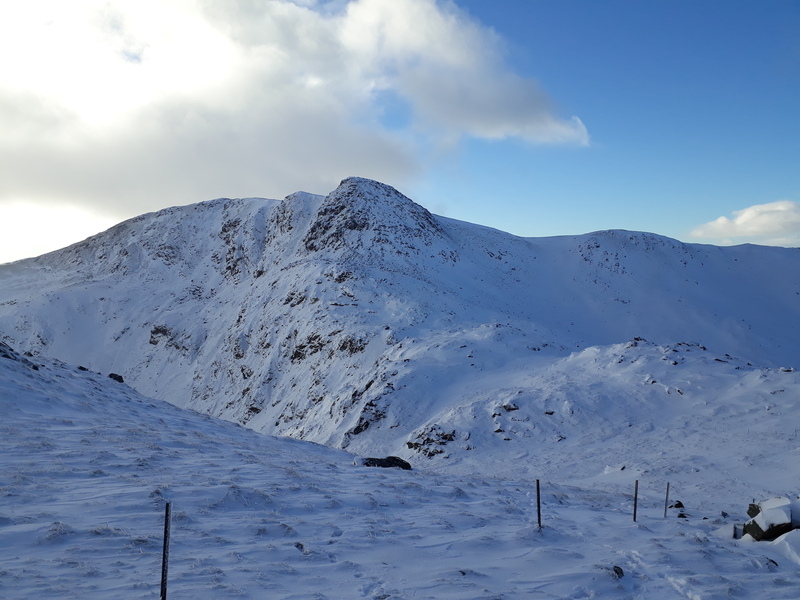 Whilst my original planned route over the bealach between Beinn Each and Stuc a'Chroin might - MIGHT - have been a bit quicker, I decided to head instead for the bealach between Sa'C and BV, on the grounds that the topography should be easier to follow - less chance of mis-navigating. But even in summer daylight, the track was at least 2 hours away - and in my current state of tiredness, probably double that . But no time to hang about - it would be even colder once the sun sank. The long shoulder behind which the sun is setting is the one via which I'd originally planned to return. The yomp up Gleann an Dubh Choirein is not particularly difficult, but I was getting slower and slower. I didn't check times, but it must have taken at least an hour to get to the foot of the cliffs below the bealach. 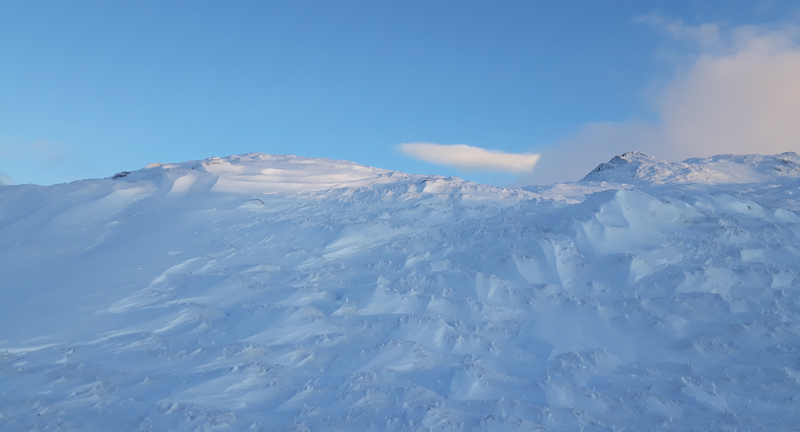 Then it was a slow, slow, plodding climb in oftentimes more than knee-deep snow, where one barely gained 10 or 20 cm of ascent for each half metre leg lift; until eventually I got to the top. The wind was really howling as I crested the bealach. I very quickly started to get cold whenever I stopped to take a bearing or check the map. But now I needed to identify accurately the main watercourse down to Glen Ample, the Allt a'Choire Fhuadaraich. And it was surprisingly difficult to get a good sense of the topography, even with a powerful head torch: the hillocks cast misleading shadows, and there were times when I couldn't easily tell whether I was looking at the far side of Glen Ample, or a small valley of one of the minor tributaries of the main stream. I began to be plagued by concerns I might be on the wrong allt - completely illogical really, since the bearings were right, and there is only one watercourse that descends from the bealach to Glen Ample; but these are the doubts that can assail the mind when one is alone in the middle of nowhere, exhausted, and it's pitch black. In the event, and as this report bears testimony to, I did get down to Glen Ample OK . It took an inordinately long time, and the process was not helped by my staying too close to the Allt as it drops through the Sput Dubh waterfalls, rather than descending a hundred metres or so away from the steepest parts. This mistake resulted in multiple tricky downclimbs in muddy and icy conditions, a good proportion of which I had to reascend because the descent became too difficult. From what I could see in the dark and shadows of the forestry, these falls must be quite spectacular; but on that day I would have preferred a gentle slope. At last I arrived at the track, just after 20.30! Unsurprisingly, I don't remember too much about the 2 hour walk back to my starting point at Ardchullairie More! 1. 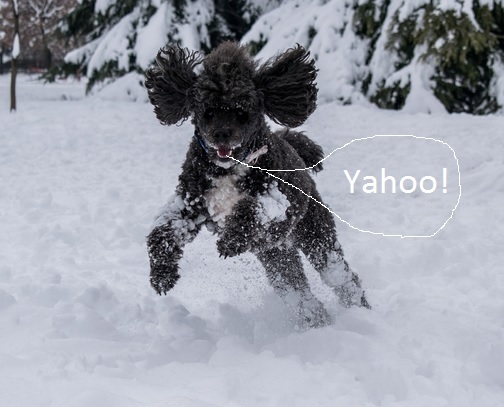 Don't plan walks in snow assuming something like Naismith timing. I know this perfectly well, but it's easy (for some of us!) to get carried away. 2. However well equipped you are - and I was well equipped, with a couple of spare down jackets which I didn't need to have recourse to, full waterproof gear, spare torch, spare batteries, space blanket, plenty of energy food, PLB, etc. - in winter it's so much more time-consuming and tiring to do anything at all (eg replacing exhausted batteries, which thank goodness I didn't need to do), and very easy to get very cold very quickly. 3. If it's really dark (= no moon), then progress will be quite slow, even if the going isn't too difficult and one has a powerful torch. 4. It's easy to make poor decisions when one is very tired (like downclimbing icy muddy cliffs in the dark ). Not clever. Summary: it was a great walk on - until nightfall - a perfect day; and I'd recommend pretty well every bit of it, as far as Ben Vorlich. But then, in winter, the most prudent course would be to descend from it to Glen Ample. Last edited by Alteknacker on Wed Jan 30, 2019 11:23 pm, edited 2 times in total. 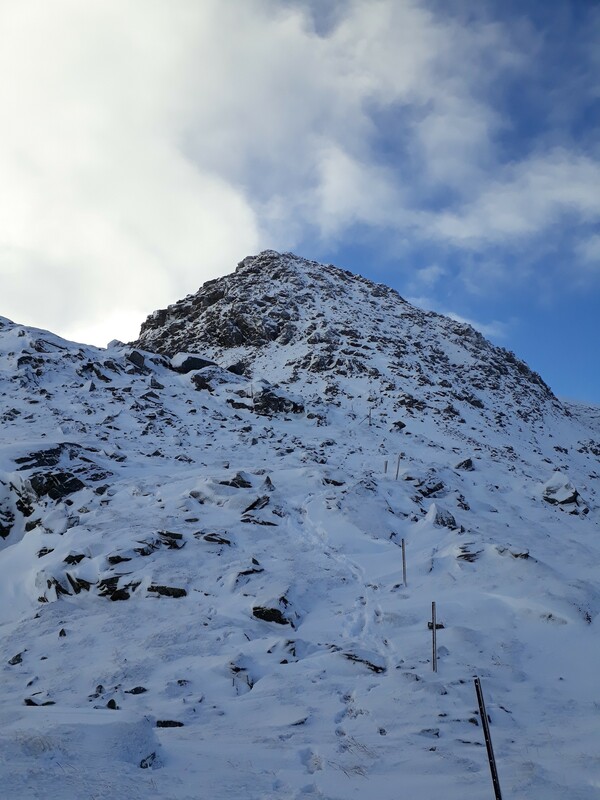 Re: Sun and snow: a Loch Earn round + some timely reminders! 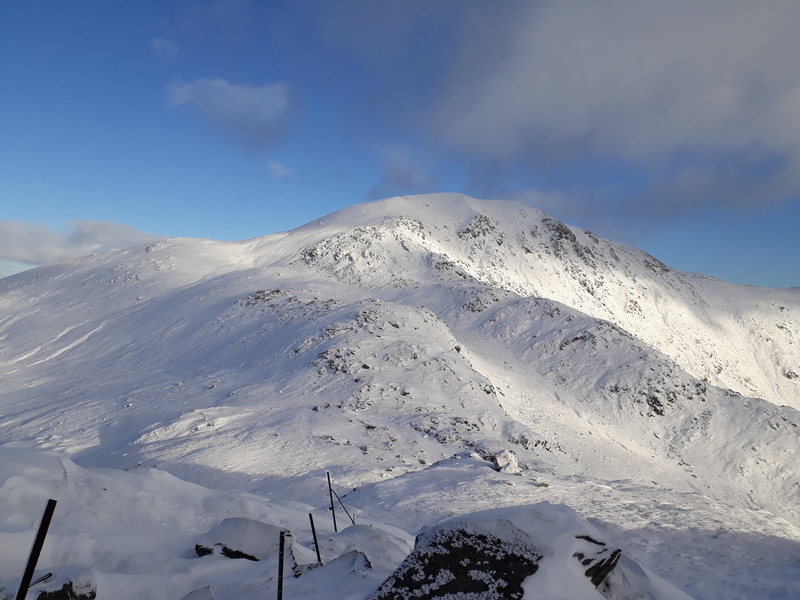 I did these four from Ardvorlich (more mileage but less ascent) when I did them but that wasn't in anything like these conditions. Nice one, what amazing conditions! As you say, it would probably have been prudent to descent earlier, but I admire your determination and you certainly got the most out of the day. What superb winter conditions though - a really substantial snow cover (hard work of course!). Some stunning images there. Shame the camera can't capture the mystery of darkness; those long hours of weary plodding and navigational uncertainty in the dark must have been quite an ordeal. Makes a great story though! Alteknacker wrote: I began to be plagued by concerns I might be on the wrong allt - completely illogical really, since the bearings were right, and there is only one watercourse that descends from the bealach to Glen Ample; but these are the doubts that can assail the mind when one is alone in the middle of nowhere, exhausted, and it's pitch black. A GPS is what you need AK - dissolves all doubts of that kind! Hi A-K. Have you considered Tranter's corrections to Naismith? I expect it's cropped up on here before. The snow was, I think, the worst we'd ever encountered when we were there a few weeks back. We slogged up Ben a'Chochuill and Beinn Eunaich. Sun at our backs and some shelter from the N wind was quite pleasant at times, but underfoot was grotty. I think you might have the dates wrong on this (I spent most of the 16th cowering on the sofa wondering why I always get so carried away at the work Christmas party - would be a shame to think I missed this weather when I could've been out, although looks like Saturday was almost as good). Spectacular walk . I like to try and avoid long excursions in these deep, soft kind of conditions, but there's no denying that it looked worth the effort. I doubt you'll ever learn where timing is concerned. I have the same problem i.e. once I have a vaguely plausible route in mind that I want to do, I will convince myself that there's enough time for it . Any reason you didn't start from the end of Glen Artney to the east? That's what I did previously for this quartet and it's a more logical round. However I can imagine you might have been concerned at the miles of icy uncleared road that you would have needed to drive along to get to the starting point. Thanks Broggy. I was pretty exhausted after this lot and felt like a real wimp, but subsequently reading others' WHRs, I was reassured to see that other younger and stronger folk than I also found conditions quite tough going!!! Mal Grey wrote: ... I admire your determination and you certainly got the most out of the day. Thanks Mal. I think it was more a case of poor judgement than determination. I certainly got a lot out of the day, include one of the toughest physical wring-outs I've had for a very long time! Conditions were indeed superb. Reading others' WHRs of walks on these days, I've realised that I wasn't the only one to find the conditions made for very hard work!!! dav2930 wrote: ....A GPS is what you need AK - dissolves all doubts of that kind! Blimey! That's pretty damned impressive! Glad you made it back safely. Thanks for the kind words, ancancha. You're right amount the commitment thing: if there's no option - and there wasn't really once I'd got to Meall na Fearna - you just have to keep going! Roger n Sue Fellows wrote: Hi A-K. Have you considered Tranter's corrections to Naismith? I expect it's cropped up on here before. The snow was, I think, the worst we'd ever encountered when we were there a few weeks back. We slogged up Ben a'Chochuill and Beinn Eunaich. Sun at our backs and some shelter from the N wind was quite pleasant at times, but underfoot was grotty. I hadn't heard of Tranter's correction, but have now looked it up on Wikipedia. I wonder how well it works if one is doing multiple hills? I find under normal conditions I'm ahead of Naismith initially, but (surprise, surprise!) get slower and slower with each hill. I do/did have my own rough formula - distance (km)/4 + ascent (m)/400; but then always forget to apply it . In any event, in my limited experience, it's very dependent on conditions. 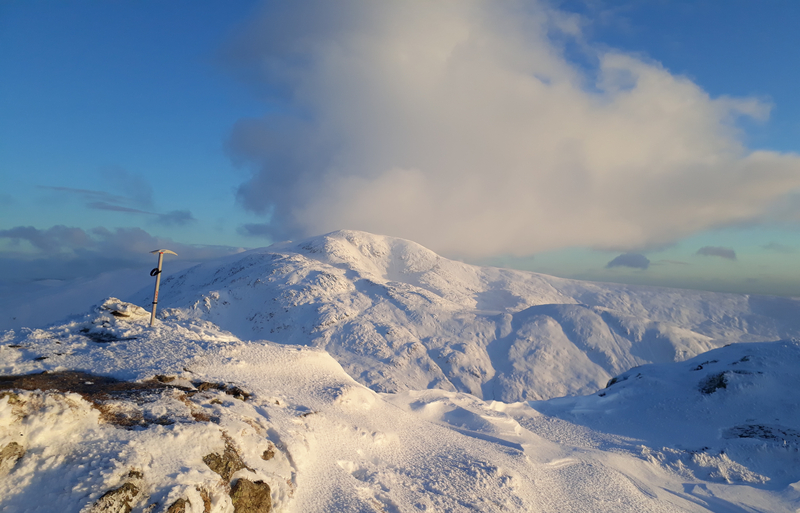 Yes, it was the 15th (but actually the 16th was also better than forecast - I was on Ben Vane. malky_c wrote: Spectacular walk . I like to try and avoid long excursions in these deep, soft kind of conditions, but there's no denying that it looked worth the effort. I doubt you'll ever learn where timing is concerned. I have the same problem i.e. once I have a vaguely plausible route in mind that I want to do, I will convince myself that there's enough time for it . malky_c wrote: Any reason you didn't start from the end of Glen Artney to the east? That's what I did previously for this quartet and it's a more logical round. However I can imagine you might have been concerned at the miles of icy uncleared road that you would have needed to drive along to get to the starting point. katyhills wrote: Blimey! That's pretty damned impressive! Glad you made it back safely. Thanks for the good wishes, KH. Sorry to hear about your foot - I hope it's back functioning in time for some play in the snow. To your question: I sort of did half think of going to Ardvorlich (albeit not from BV, but from MnF), but I really really hate tarmac. And I'm an incurable optimist . Another amazing trip AK - Do you ever do short walks? - I mean less than 12 hours . past my sell by date wrote: Another amazing trip AK - Do you ever do short walks? - I mean less than 12 hours . Thanks PMSBD. I do tend to go for longer walks because the Highlands are so far from where I live, but in this case I think that the duration was principally due to incompetence .